This is my Harmonics Brazilian Cherry laminate review. This review is based on me installing it in a home. This particular product is made by Unilin in the USA, which also manufactures Quick step as well as other popular brands. Harmonics uses the Uniclic locking system which I consider one of the easiest systems to work with. This flooring I installed measures 6 1/8 inches wide by 54 11/32 in length, and is 5/16 (or 8mm) of an inch thick. 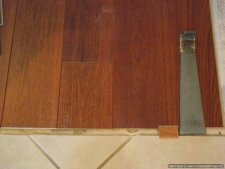 The length is a little longer than most laminate floors, which is usually about 48 inches long. It provides a 35 year residential warranty also. This Harmonics laminate also comes with the pad attached to the bottom which is 1/16 inch thick. This cuts down on cost as you don't have to purchase the underlayment separately. 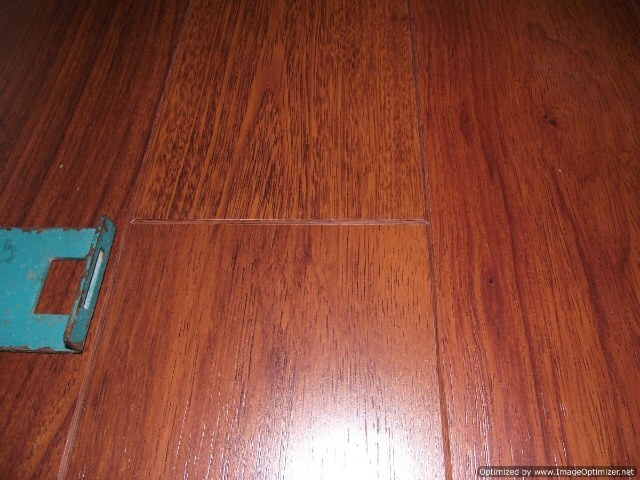 Environmentally speaking, the label claims that this flooring is made with 74% of recycled material. The finish has a slight wood texture to resemble hardwood. 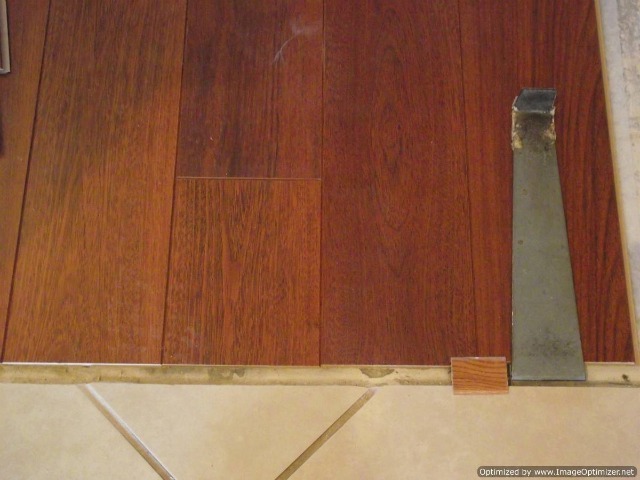 All four edges are beveled which gives the real hardwood flooring look. Installing the planks were fairly easy, they are able to be tapped together laying flat next to each other using a tapping block. The cost for this product was around 2.69 per square foot purchased locally. This seems a little high to me. You could look around and find a thicker laminate for less if your not opposed to purchasing online. One online merchant that I have had several clients purchase from carries 12 and 14mm thick laminate for about the same cost even with shipping included.